At 14,259 ft, Longs Peak towers over the northern Front Range of Colorado. When the sunrises over the eastern plains of Colorado, Longs Peak is the first mountain to receive sunlight because of its height. 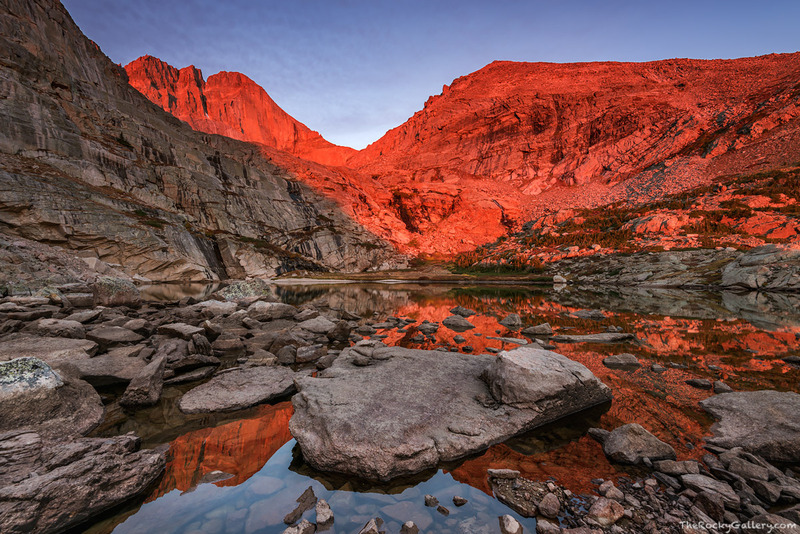 Peacock Pool resides just below Longs Peak and Chasm Lake and its rocky shoreline makes for a great location to capture the brilliant colors of sunrise. Photo © copyright by Thomas Mangan.